I just “finished” my long-term headphone amplifier design project. Talk about taking years. Check it out here. 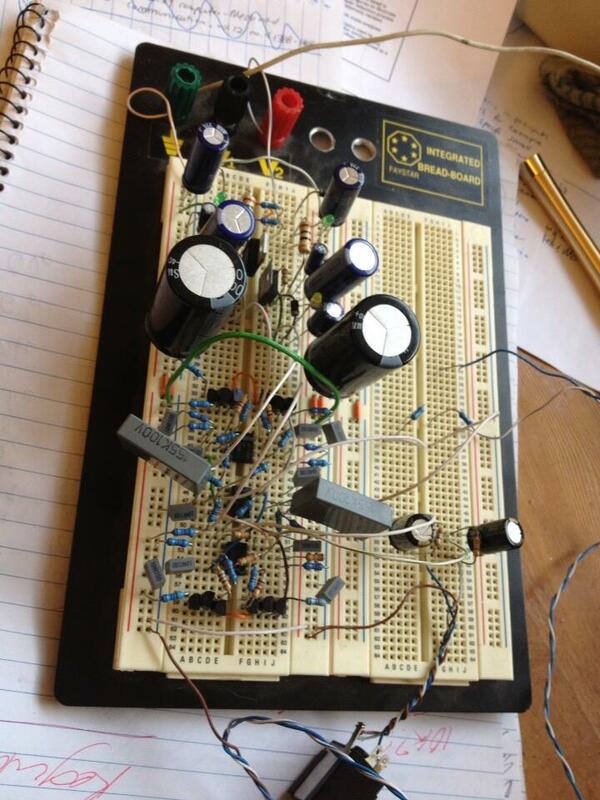 Headphone amplifier prototyped on a breadboard. It works. This entry was posted in Analogue, Electronics and tagged Class A, Electronics, Headphone Amplfier, Schematic on 12th June 2013 by nick.